Following the success of its inaugural event earlier this year, The Chicago Film Critics Association, a group of more than 50 Chicago-area print, online and broadcast critics who have been celebrating and promoting the art of cinema for 24 years, is pleased to announce the dates and location for the second Chicago Critics Film Festival. 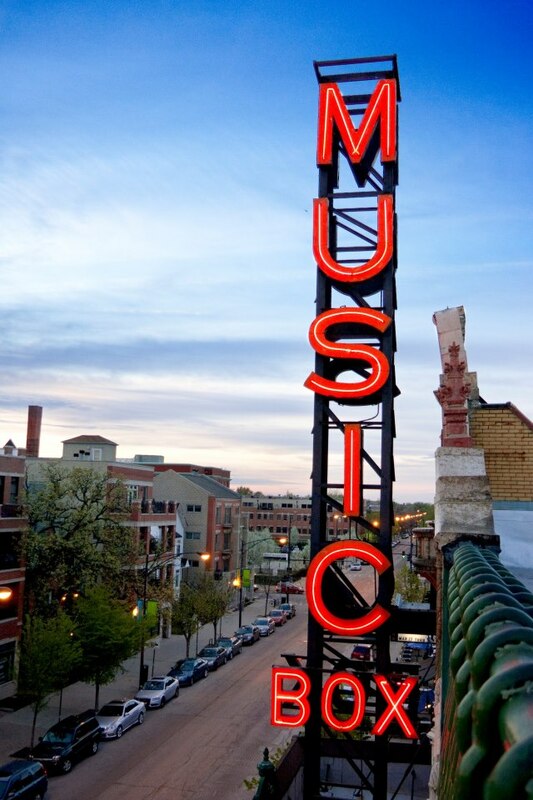 Expanding from three days to a week, the festival will run from May 9-15, 2014, at Chicago’s historic Music Box Theatre. The 2014 event will offer a selection of films comprised of recent festival favorites and as-yet-undistributed works from filmmakers ranging from Oscar winners to talented newcomers chosen by members of the organization—the only example of a major film critics group hosting its own festival. The inaugural event attracted an impressive array of films and talent. The opening night presentation featured Oscar-nominated actress-filmmaker Sarah Polley (“Away From Her,” “Take This Waltz”) and her acclaimed documentary, “Stories We Tell.” The festival’s final night featured a screening of the celebrated coming-of-age drama “The Spectacular Now,” with director James Ponsoldt in attendance. Oscar-winning filmmaker William Friedkin introduced a rare 35mm screening of his 1977 masterpiece “Sorcerer” and participated in an entertaining Q&A about the film’s notoriously difficult production. Other films included the teen comedy “The Kings of Summer,” “Grow Up, Tony Phillips” (the latest effort from 20-year-old filmmaker Emily Hagins, in attendance), the inspirational documentary “When I Walk,” and the latest from Oscar-winning filmmaker Fernando Trueba, “The Artist and the Model.” The full 2013 program can be seen here. The festival’s board of directors is pulling together titles and guests for next year’s event. The CFCA hopes that the 2014 Chicago Critics Film Festival will buck the tide and be the rare sequel that actually manages to improve on the original. The CFCA is dedicated to supporting and celebrating high-quality filmmaking. The organization supports and fights for the continued role of film critics in the media. Although the CFCA’s primary public interaction has been through the announcement of its annual film awards each December, the group has moved aggressively to expand its presence on the Chicago arts scene to promote critical thinking about cinema on a wider scale. Beginning in 2011, CFCA members hosted numerous screenings at the Muvico Theaters Rosemont 18 in Rosemont, Illinois, and then expanded the program in 2012 to include events at Studio Movie Grill in Wheaton, Illinois. At Facets Multimedia, CFCA members also team-taught a new Young People’s Film Criticism Workshop that emphasized analysis, criticism and writing skills to middle-school and high-school students, many of whom attended on lower-income scholarships. The CFCA hopes to be a much larger presence on the Chicago arts landscape and an even more effective advocate for critical thinking and film appreciation. This means more efforts at public outreach, education, and enlightenment. The CFCA pledges to expand presentations of films, to teach more film-based classes, and to make the Chicago Critics Film Festival into an annual tradition.